Hey guys, welcome to RUBY TUESDAY! It was overcast out at Robert Moses State Park on Saturday. The water was FREEZING! My nephew and grand-nephew played in the sand while I took pictures. Please sign Mr. Linky and leave a comment. Try to visit as many people as you can! Thanks! Even a cool day going barefoot in the sand is better than a day which involves shoes in my book. That is certainly full of fun! I joined this week;) Happy RT! It looks like you had a fun day even though you didn't get to go in the water! Glad you're back. I knew you'd get some great photos. 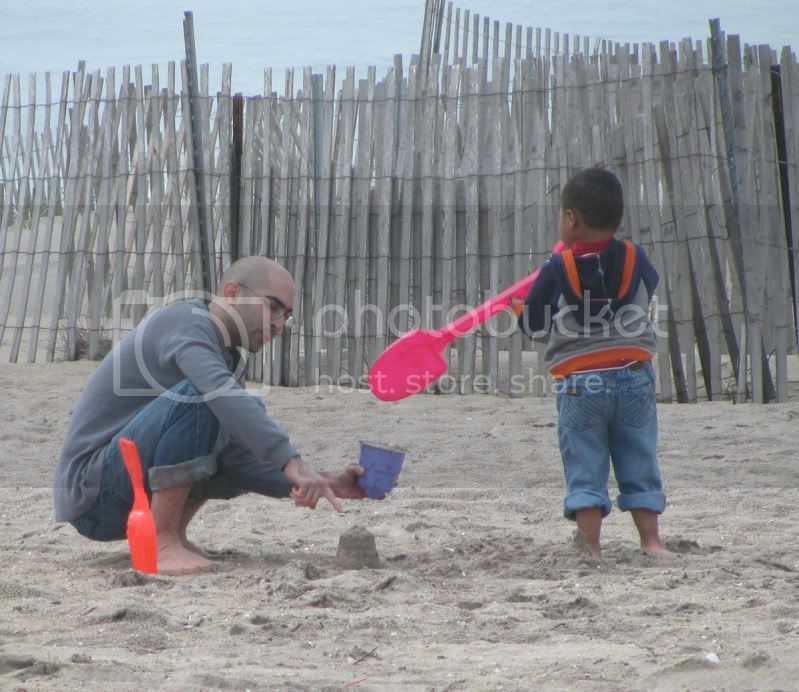 What a great day, Your nephew is adorable :) Red shovels at the beach!! Perfect! Have a great week, Mary. sweet, a day at the beach. Playing in the sand is just about the most fun thing in the world...even for us Memaw's !! Oh! Luz & I did some of that this weekend too! What FUN! Summer is ALMOST here! Great shots Mary! How IS it that your Ruby Tuesday Linky is SO full on Monday night??? LOL! I thought I was sneakin' in EARLY! That sand looks so inviting! Thanks for sharing! I'm in! They seem to be having so much fun! Happy RT. I've posted a recipe over at my place. Mine is a dragon from London. I could hire both of them for my garden ! Cute pictures ! Looks like they were having a great time! Awww, how cute! And what fun! You know, I've never seen one of those toy shovels look like an actual shovel ... until now! Playing in the sand is such fun, especially when the game involves an adult and a child! Lovely, fun shots! Sand is always nice when it's cool on the feet. Great photos! I love the look on the little one's face in the first photo! He looks so happy even if it is a little chilly out! Mine is posted. Have a great day!! Awww... what lovely photos. They really capture the relationship and your grand nephew's joy of living. I'm still waiting for the real spring temperatures to get here as well. 50's just won't cut it for me in mid May. Rock and roll Ruby Tuesday. Getting ready for a Memorial Day Party! delightful photos. thanks and happy rt to you mary. 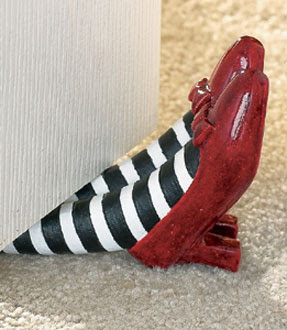 NO PLACE LIKE HOME AND A RED PAIR OF SHOES TO GET YA THERE. I WISH WE HAD SAND AND A BEACH HERE IN COLORADO TO USE FUN RED SHOVELS AND SAND TIME! They look like they're having such a good time. Nice photos, and happy RT to you. Bare feet in sand...still a dream here. Fun photos. Robin....shoes or sand? That's a tough one. I adore them both...but just not together, of course! My Ruby Tuesday's up...a bit later then all you folks! You must be 'super-organized'!! I'm back this time! Come visit me ! I skipped RT this week, just wasn't happy with anything I had. Robert Moses is great no matter the weather. It looks like your nephew and grand-nephew had a great time, too! Very cute indeed! Who could possibly dig without a red shovel. dear mary t...don't you forget who your friends are when that grand nephew of yours is the president of the united states, even though i, for one will be in a nusrsing home by then! your new picture is cute but i do miss the sun glasses..lucky for me that i saved that picture in my files my beloved teach!! Hi Mary, this is my second time to join your Ruby Tuesday meme, but I do apologize for not leaving a comment the other time. After all you're the host! I first heard about your blog from Felisol, many months ago. I know you've heard it said a thousand times before, maybe more...you have a beautiful blog. You really are an artist. Thank you for hosting Ruby Tuesday, and all the other fun stuff you offer on your blog. so so late I am but I finally got mine up. I always wanted red shovels for the beach! Happy WW! I bet that you've given your grand-nephew a Bear Hug like this one before! I don't care how cold it is, I'd spend the day at the beach.